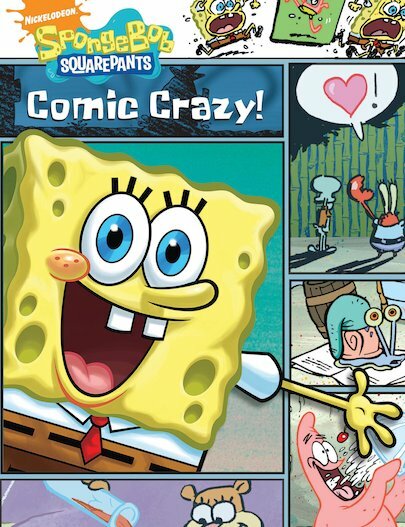 Classic SpongeBob comics full of daft laughs. Get more of the sponge you know and love. What happened when Plankton donned a Patrick costume to try and weasel the Krabby Patty recipe out of SpongeBob? How did baking a ‘cheer up!’ cake for Squidward get the Krusty Krab closed by the health inspector? Will SpongeBob ever make it back from Hiccup Island? You’ll have to read these crazy comic strips to see! I have never read the book but I record lots of episodes.I WANT TO READ THE BOOK!!!!!!!!!!!!!!!!!!!!!!!! I myself haven’t really read this book yet, but I will tomorrow because this book is available at my schools book fair!!!! !